Dr Byela Tibesigwa a senior research fellow from center for Environment for Development Tanzania (EfDT) hosted in the Department of Economics University of Dar es Salaam was among the participants of this conference. AAPC a high-level policy dialogue, initiated and managed by the Policy Analysis Group (PAG) in collaboration with the Agriculture Sector Lead Ministries (ASLMs). The PAG consists of members from academia, policy-decision makers, local and international think tanks that promote agricultural policy in the country. The main components in the ASDP-2 include: water and land use management; enhancing agriculture productivity and profitability; commercialization and value addition; and lastly sector enablers strengthening at local, national and regional level. As per the ASDP-2, the questions addressed in the 5th AAPC are grouped into three themes: The first theme looks into the current status and prospects for agriculture and economic transformation. While addressing questions such as: What is the role of agriculture in economic transformation and industrialization agenda? The second theme looks at the following: Is there progress in policy reforms? Do reforms keep up with changing market conditions? What policy areas have made remarkable progress and which areas deserve more attention? The third and final theme addresses: Of the broad groups of value chains, which are facing more challenges and why? What are the value-chain specific challenges? How could the policy issues be prioritized? 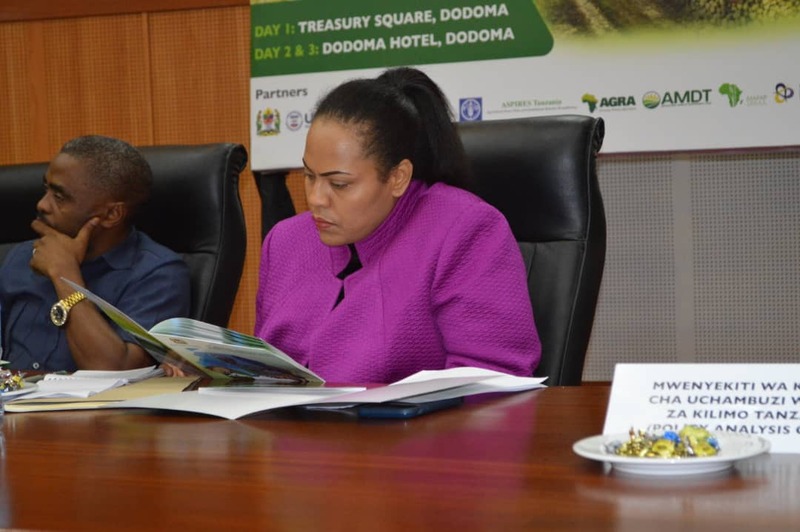 The value chains included are: Staples Value Chains; Traditional Export Value Chains; Non-traditional Value Chains; Livestock and Fisheries Value Chains; Import Substitution Value Chains; Farm Inputs Value Chains; and Farm Services Value Chains. Dr. Byela Tibesigwa, was asked to comment on the conference. She stated that “the AAPC is an excellent and important platform that bridges research and policy. We in Tanzania are very fortunate to have a platform which allows us researchers to directly talk to policy-makers on our findings”. 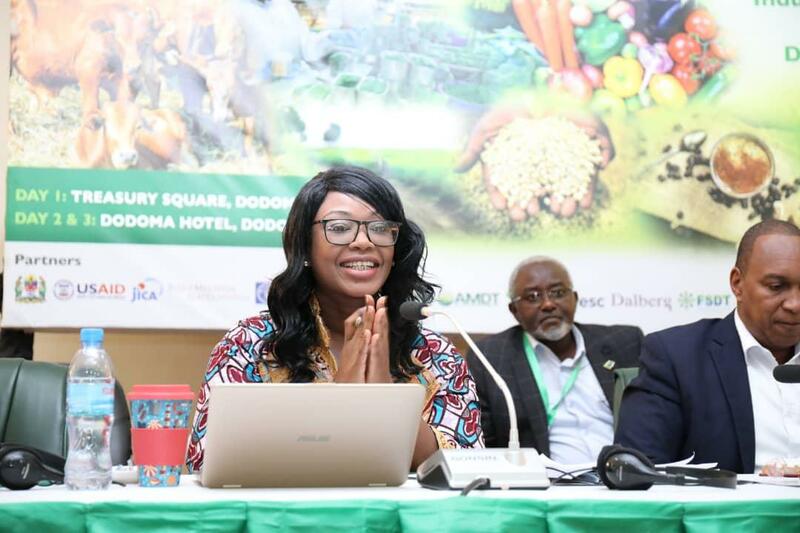 She went on to further say that “We at EfDT, which is part of our wider global network, will provide scientifically sound rigorous research that can assist in this important endeavour as EfD key pillars are research, policy interaction, capacity building and information assembling”. Dr. Byela Tibesigwa concluded by noting that “On behalf of EfDT, I would like to thank PAG and the Ministry of Agriculture; and I look forward to disseminate and share the many research findings available in EfDT that will assist in the achievements of the ASDP2 and agriculture industrialization in Tanzania”. The PAG members include: Agricultural Sector Policy and Institutional Reforms Strengthening (ASPIRES); International Livestock Research Institute (ILRI); United States Agency for International Development (USAID); International Food Policy Research Institute (IFPRI); Alliance for a Green Revolution in Africa (AGRA), ReSAKSS; Dalberg, Eastern Africa Grain Council (EAGC); Agricultural Non-State Actors Forum (ANSAF); Southern Agricultural Growth Corridor of Tanzania (SAGCOT); Monitoring and Analysing Food and Agriculture Policies (FAO-MAFAP); Tanzania Private Sector Foundation (TPSF); Enabling Growth through Investment and Enterprise Program (ENGINE); Agricultural Markets and Development Trust (AMDT); Financial Sector Deepening Trust (FSDT); and Tanzania Horticulture Association (TAHA). 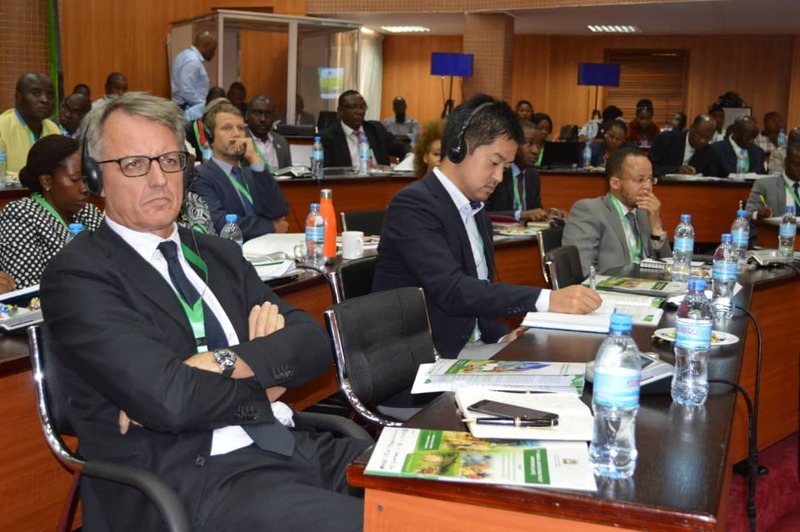 While the development partners responsible for the 5th AAPC include Agricultural Working Group; Bill and Melinda Gates Foundation; Japan International Cooperation Agency (JICA) and Food and Agriculture Organization.